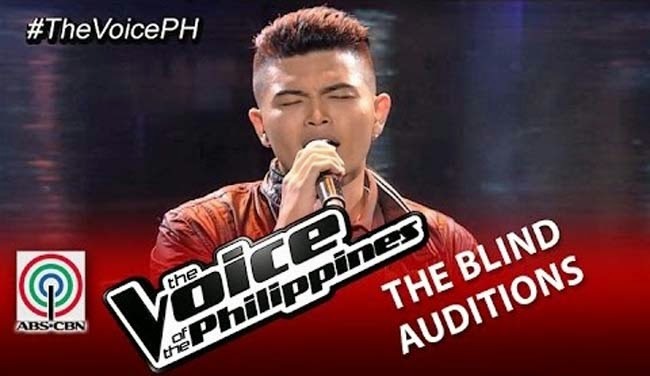 Daryl Ong the 27-year-old was the another artist who made it to the Blind Auditions of the Voice of the Philippines Season 2. Daryl was fond of making animations in computer and his profession was an animator. This artist has a sad story about his child he was not able to see again after a year. He got separated with the mother of his child named Dwayne and he has no clue about his location. Through The Voice, Daryl was able to greet his long lost son and he expressed his longings towards him. He also said sorry for everything that he was not able to say goodbye to him when he and her mother departed. Daryl was looking forward to the time when he will meet his son again. Daryl performed the song “Paano” from Gary V. with an RnB version. He sang the song smoothly that made three coaches turn their chairs instantly. The coaches were Apl.de.ap, Lea and Sarah. Coach Bamboo just congratulated Daryl for making the three coaches turn their chairs. The three coaches on the other hand appreciated what Daryl did. When he was asked about his choice of coach, he mentioned Apl.de.ap’s name that made the Black Eyed Peas member very happy, in fact he brought out the plaque that Black Eyed Peas received from a certain awarding ceremony and showed it to Daryl. Coach Apl was so excited to work with Daryl as the artist advance on the next part of the competition. Congratulations Daryl Ong for making it to Team Apl.de.ap.